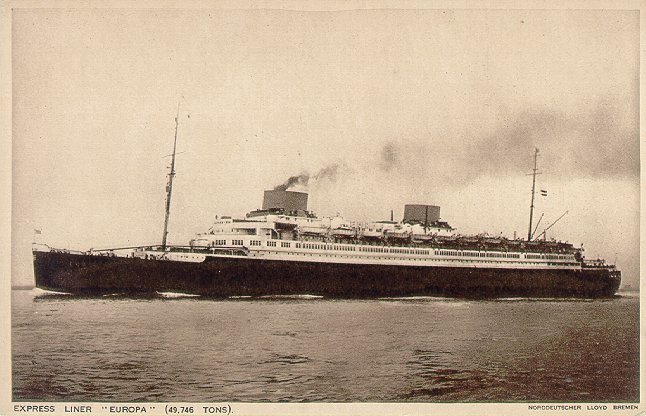 Europa was at Bremen, having just returned from New York, on 1 September 1939, when World War II began. During the war she served as a naval accommodation ship at Bremerhaven. In 1940, plans were developed to convert her into a transport for invading England and in 1941, she was designated for conversion into an aircraft carrier, but neither of these conversions was ever carried out. She was seized by the United States in May 1945 and used as a Navy transport until she was handed over to France in 1946. She was turned over to Compagnie Generale Transatlantique, the French Line, and renamed Liberté. 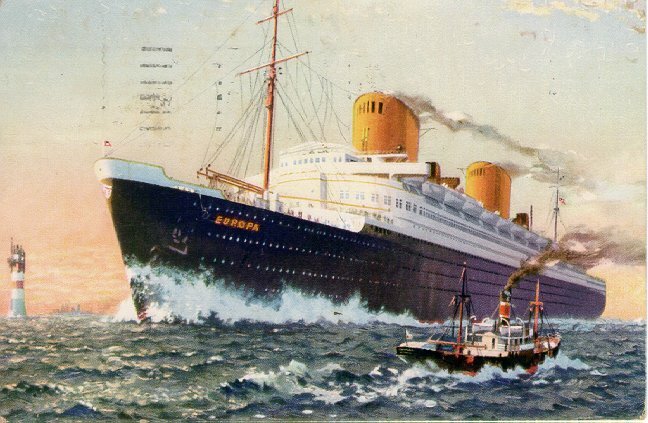 In December 1946, while laid up pending refitting, Liberté broke loose during a storm, struck the wreck of CGT's Paris, and was scuttled to avoid capsizing. She was raised in 1947 and rebuilt by Ateliers et Chantiers de St. Nazaire. In an eerie repetition of her own history, she caught fire during this rebuilding and much of the newly-installed passenger accommodations were badly damaged. 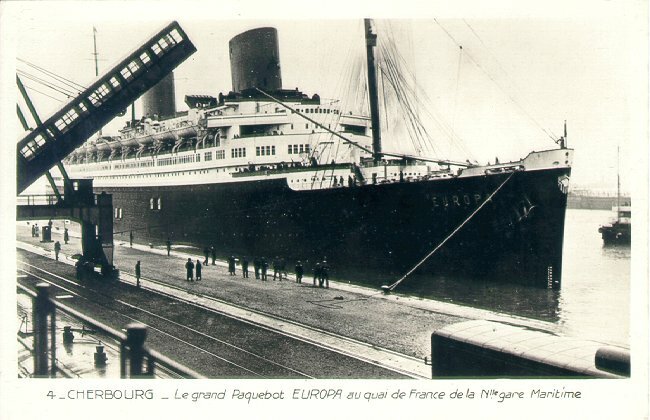 Liberté finally entered French Line service on 17 August 1950, on the Le Havre-New York route. 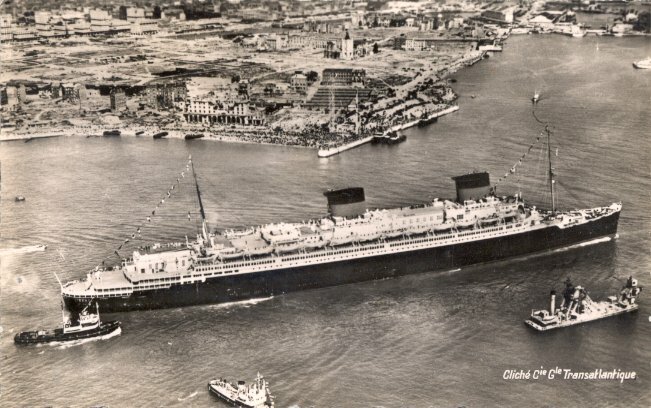 She made her final voyage in November 1961, and was scrapped the next year. Sources: Haws' Merchant Fleets; Kludas' Great Passenger Ships of the World; Bonsor's North Atlantic Seaway.